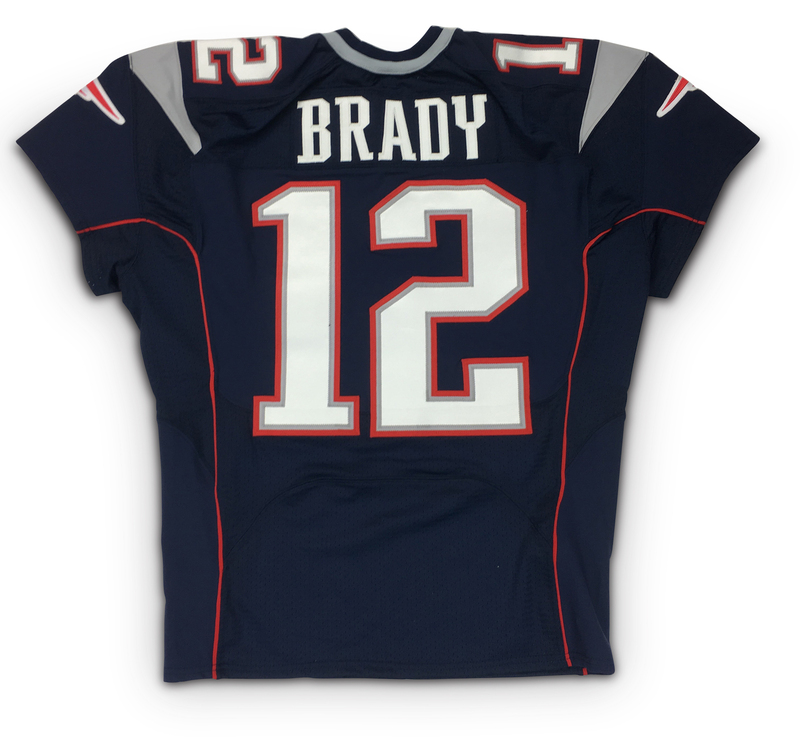 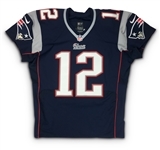 This Tom Brady 2013 New England Patriots home jersey was consigned to auction by Mark Shipment, former NFL and NFL Europe equipment manager. 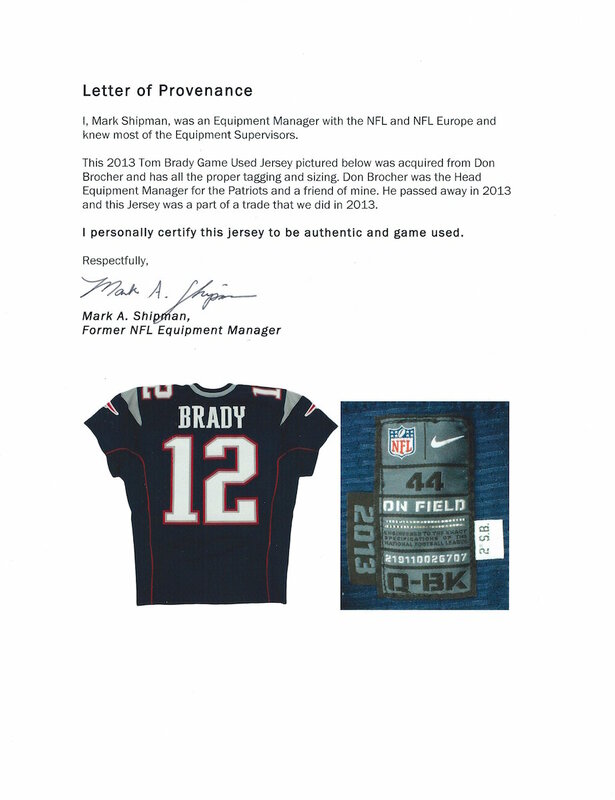 Shipman was a former equipment employee of the Tennessee Titans and acquired this jersey from then equipment manager of the New England Patriots, Don Brocher. 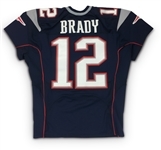 Tom Brady is a 5-time Super Bowl Champion and has been the NFL's most valuable player on three separate occasions. Brady is widely accepted as the greatest quarterback of all time. 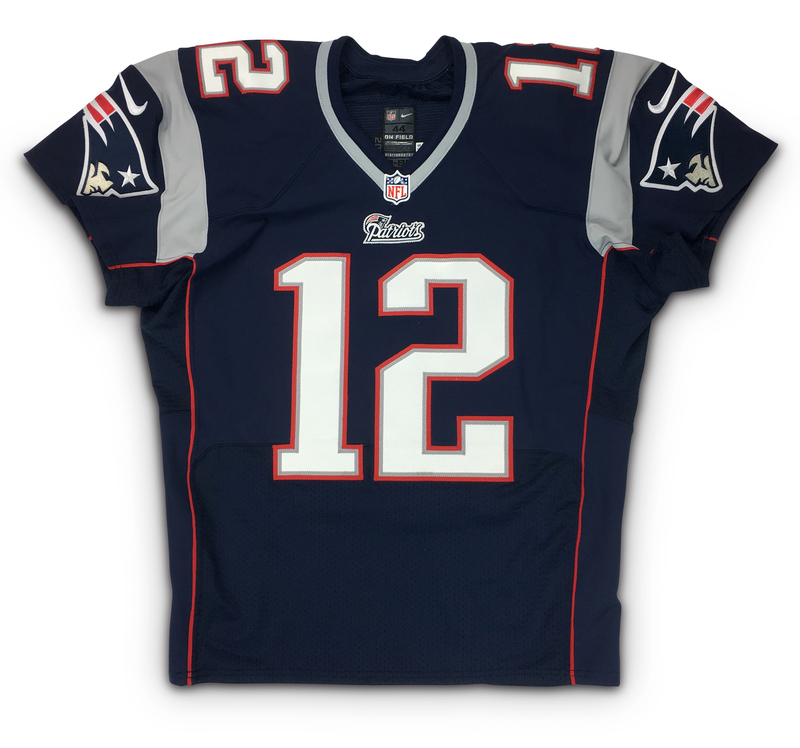 This jersey was consigned to us as game used and shows light overall game use. 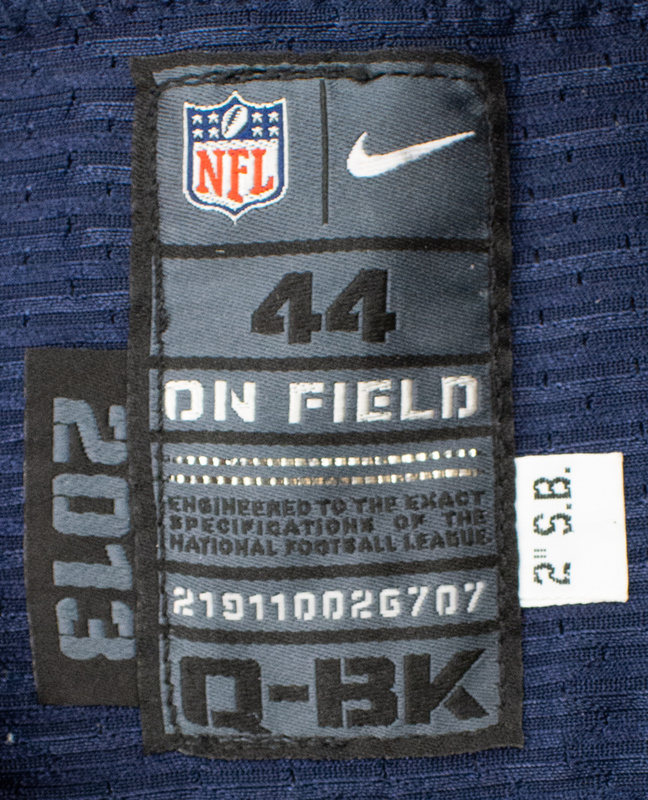 Jersey Specs/Tags: NIKE / Size 44 / Length +2" S.B.